When you know your reason for being, the world becomes a more welcoming place. You know how you fit in, what you were meant to do, and—this is extremely important—you understand what NOT to do any longer. 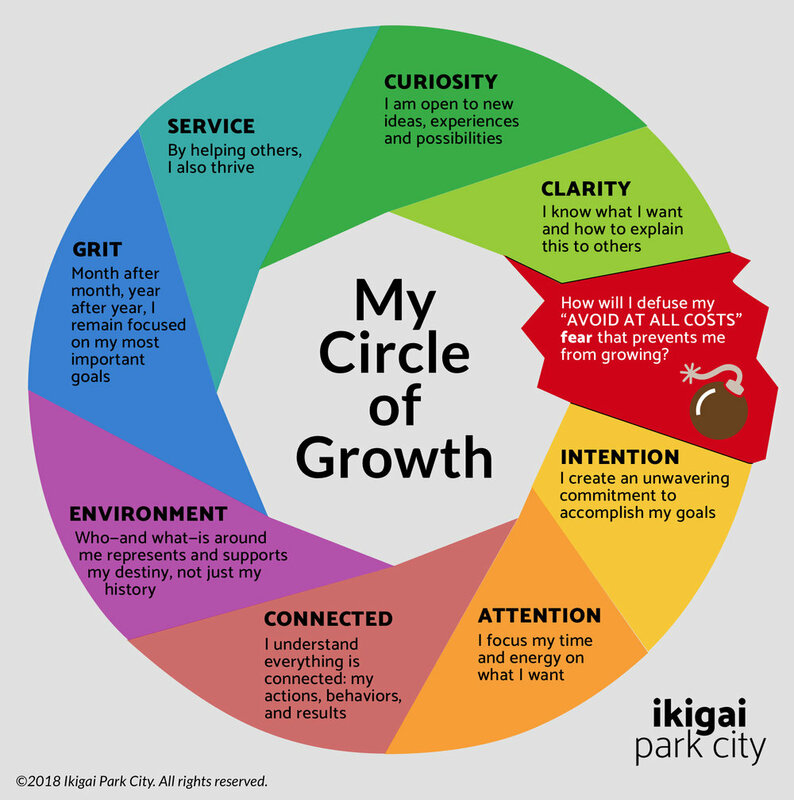 Our approach is rooted in the My Circle of Growth framework you see on this page. It illustrates why growth can be so hard and outlines the elements that must be present for you to grow in a meaningful way. The name of our institute comes from the Japanese concept of ikigai (pronounced ee-key-guy), which means "reason for being." It's what animates your life, gives you energy, and powers your achievements. This spirit of ikiagi serves as our institute's inspiration for lifelong growth. That worked! Thank you for your interest!